Folks from all over the world travel to Colorado to experience the raw beauty of the Rocky Mountains. Many choose to explore the area on horseback, and Sombrero Ranches, Inc. is the largest outfitter in the state. Sombrero was created in 1958 by Rex Ross Walker, his late brother-in-law, Pat Mantle, and the late Keith Hagler, an avid horseman. 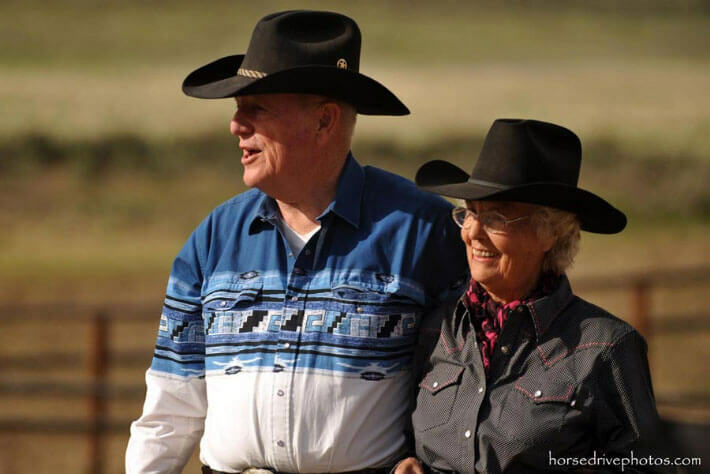 Rex, a native of Texas, had developed an intense interest in horses and traveled to Colorado when he was 11 years old in order to spend time on a ranch. Later, while still in college, Rex met Pat Mantle, a native of Colorado fresh off the family ranch. Pat Mantle was raised in the remote country nestled below Blue Mountain, near Vernal, Utah. Pat and the Mantle family were famous all over Colorado’s Western Slope for their horsemanship skills and rugged homestead upbringing. Pat knew the land and understood horses better than most modern horsemen could ever hope to. Together, he and Rex scraped together enough money to purchase sixteen horses and thus began the Sombrero legacy. Following their start, they added a third partner, Keith Hagler, who was raised near Fort Collins, Colorado. 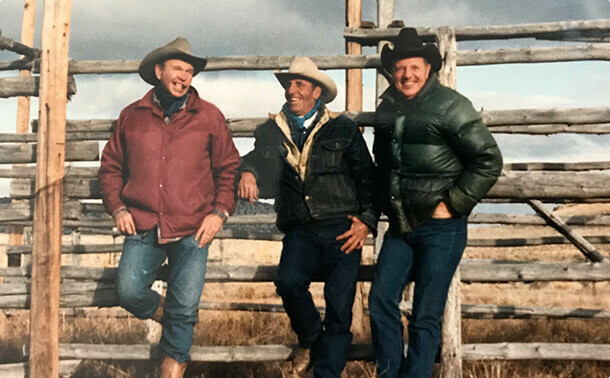 Hagler, as his friends called him, was known as the “King of Cowboys” and brought a wealth of knowledge to the Sombrero Ranches, Inc. partnership. Hagler had a way with horses and a rare talent understanding people, which combined to make him an expert at matching someone with their perfect horse. The first Sombrero Ranches, Inc. stable was–and still is–located in Estes Park, Colorado. In those days, trail rides went for $1.25 and competition was stiff, with over a dozen other riding stables in the area. Lots of enthusiasm, buckets of sweat, and endless determination fueled the fire that led to Sombrero’s growth and expansion over the years. Rex chose to settle into the Estes Park area along with his wife, Queeda Mantle (Pat’s sister). Queeda played an essential role in the development of the business from the beginning of its existence, doing everything and anything from keeping the books to serving as camp cook! Over 60 years, Sombrero has expanded from the Estes Park Stable, which opened in 1959, to many other locations. It was only a year later that the Grand Lake stable was added. Following that, additional Sombrero locations have been added, including Meeker, Steamboat Springs, Allenspark, the stable at Snow Mountain Ranch, and the Hi-Country stables. Various hunting horse camps, ranches with winter pasture, and headquarters near Boulder, Colorado round out the Sombrero business. The family business now includes Rex and Queeda’s children and grandchildren, long-term employees, and beloved friends who have contributed to Sombrero Ranches’ growth and success. Today, Sombrero Ranches, Inc. and Colorado Horses, Inc. offer clients horse rentals for summer camps, hunting, and private contracts. In an effort to allowing folk to experience Colorado as the early settlers did, in the natural beauty of the Rocky Mountains, we have taken care to preserve the land in anticipation of sharing the natural splendor of the Rockies with customers for generations to come. Many of our operations are conducted on public lands under special permit from the U.S. Bureau of Land Management or the National Park Service.